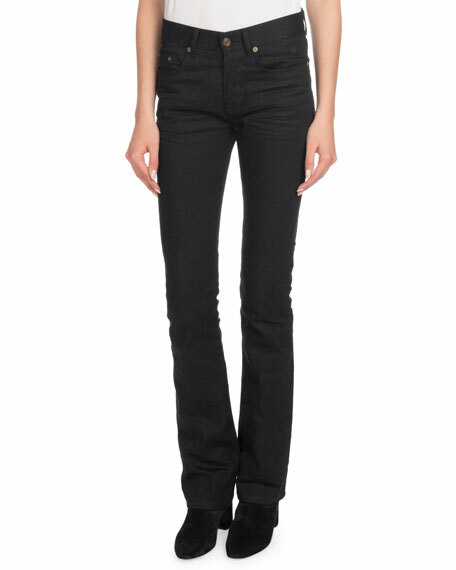 Saint Laurent jeans with subtle stretch. 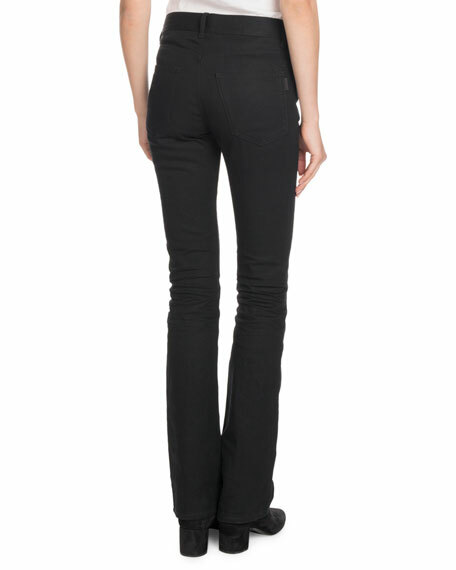 FRAME "Le Crop Mini Boot" jeans in black stretch-denim. Approx. measurements: 7.5" rise; 26.5" inseam; 37.5" outseam; 17" leg opening.